Those stone-age days are gone when only two or three basic necessities were ample to give a fulfilling feeling to the people, where wearing leaves was just enough to cover bodies, where people could lean on grass from days to months and where they had wood to use with so much comfort but time has been changing rapidly, now one, two or even more things are just so less for the people. They want each and every up to the mark commodity that looks lavish and lush to the eyes. They have built a standard of themselves and want nothing that goes below the belt. People are hungry and greedy for new things and stuff, therefore they never mind investing more and more even their pocket sometimes does not allow those expenditures. But what they can do about it? Nothing, except buying the stuff that looks good to the eyes, that make them sophisticated although that is not needed and completely unnecessary. The reason of writing all these failings of the society is that shopping has become so common that malls and markets are opened up in every corner of the road. People for all important, less important or for unnecessary stuff, go to visit the malls. All the luggage, goodies and stuff cannot be carried in bare hands, they are bound to have a proper wrapping or shopping bags to fetch forward safely. 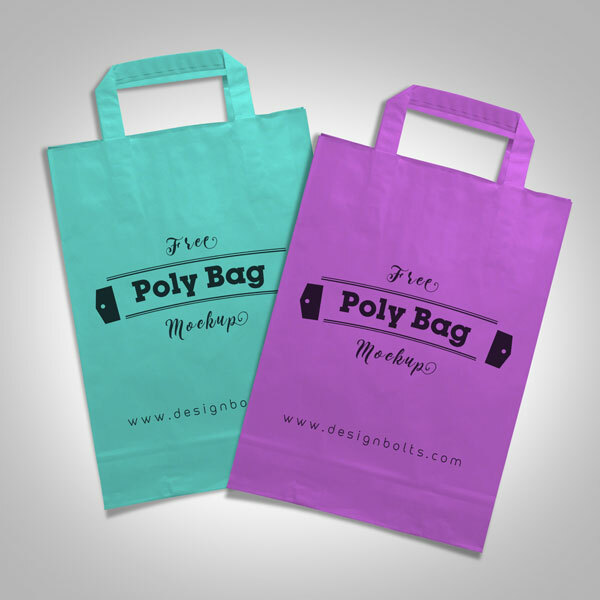 Here I am presenting free plastic Polly shopping bag Mockup for all the designers who are currently working or working in future on the shopping bag designs, you can put the design element in this Polly shopping bag to present it before your client. That is what we do these days for a communicative, vocal and expressive presentation. Approval become way too handy if you present it beautifully. Your professionalism reflects in your tasks so do it gracefully. Make sure you own this mockup of Polly shopping bag when your client asks you to present it the way it is. Subscribe us for more posts in future as well, we won’t let you down. Our extreme efforts are done to put together art and design posts that can inspire you and do you a good deal.